Over the last few decades, the three biggest Irish promoters of field sports, the Gaelic Athletic Association, the Irish Rugby Football Union and the Football Association of Ireland, have faced very significant challenges. Two of the three have responded well and most people would regard them as successful and well-run bodies which rarely attract headlines for the wrong reasons. The GAA, an all-Ireland body, has managed to retain its amateur ethos and promote the games with some success outside Ireland, while remaining the largest community-based organisation in the country. It has responded to the Good Friday Agreement by seeking to shed its exclusively nationalist appeal in Northern Ireland and has successfully re-structured its inter-county championships. It has shown a greater willingness to share facilities with the other sports and has shown real leadership in the battle against gambling addiction by eschewing sponsorship from bookmakers and betting companies, in contrast to the sluggish performance of government on that issue. The Irish Rugby Football Union, also an all-Ireland body and with a strong following among the Unionist community in Northern Ireland, has had to deal also with the challenge of the sport turning professional in the 1990s. This could have turned out badly for Irish rugby and did for a few years, until the attempt to have too many professional clubs in a small market was wisely abandoned. There are now four teams playing in competitions outside Ireland with players jointly contracted to the national side, a formula which has worked brilliantly on and off the field. In their different ways the GAA and the IRFU are respected and admired, each an adornment rather than a headache for the country. Which leaves the Football Association of Ireland, in the headlines yet again and a national embarrassment. All three of these bodies are small: people have an exaggerated sense of their size because of the enormous public interest in sport. The annual turnover of all three combined is under €200m, less than the annual turnover of Everton, the second team in the city of Liverpool. Most of the subscriptions paid to TV sports channels in Ireland are driven by soccer, and the annual total is around double the €50m turnover of the FAI. Sky Sports is, in commercial terms, a more substantial component of the Irish soccer fan's spending on the game than all the revenue generated by the FAI. 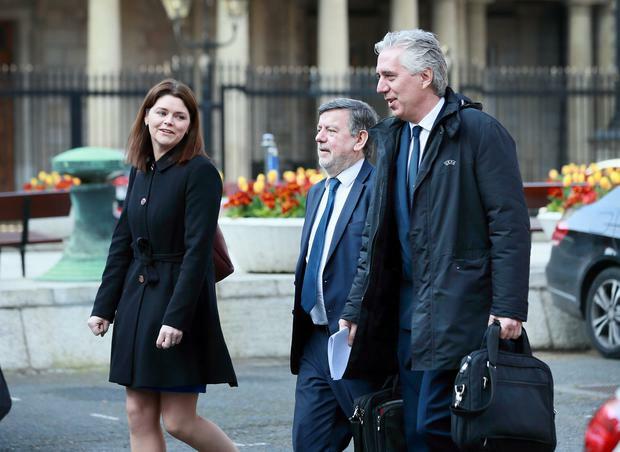 Of the regular controversies into which the FAI descends, the remuneration of its chief executive has been the staple. The total package has been reported recently as around €400,000 a year. Nobody should have any objection to highly-skilled executives running large and complex operations receiving generous remuneration. The FAI employs 200 people, is hardly complex and has a modest turnover. There are pub chains around Dublin which employ more than 200 people. The smaller county councils have annual expenditure in the €50m to €70m area, employ more people than the FAI and pay their county managers around €125,000 per annum. Dublin City Council employs 5,300 and pays its city manager €175,000. Tusla, the child protection agency, employs 4,000 people, spends more than €700m each year, has grave and onerous responsibilities which keep it prominently in the news and pays its chief executive about €150,000. Dublin Airport employs more than 3,000, makes a surplus of more than €100m per annum, pays a dividend to the state of €35m or €40m, close to the total turnover of the FAI, and pays its chief executive €250,000 a year. The chief executive of the FAI should be paid about the same as a county engineer or a principal officer in the civil service, somewhere around €100,000. That the actual figure is four times this level, for running a small non-commercial body, is a dereliction of duty by the council of the association. The structure of international football has contributed to the scandals at Uefa, the controlling body in Europe, and Fifa, the world body. Former executives at both are, to coin a phrase, helping the police with their inquiries. Each constituent country has one vote, which is why Ireland gets to play against Gibraltar, admitted to "international" competition a few years back, despite not being a country. Admitting extra tiny countries means extra votes to be marshalled through judicious distribution of the enormous TV and sponsorship revenues, hence the presence of such illustrious teams as San Marino, Andorra and the Faroe Islands, which have one vote each, the same as Germany and Italy. I had always wondered why, for example, the German football federation, the DFB, would tolerate the corrupt decision to award the next World Cup to Qatar, a tiny but oil-rich desert sheikhdom, until the DFB president resigned over allegations that bribes were paid to bring the 2006 World Cup to Germany. Governance problems in football are not confined to Ireland. The privilege of fielding an international team is hugely profitable - the players are largely paid by their clubs, so national teams have low player costs but get to keep the gate receipts and TV revenue, plus divvy-outs (in exchange for votes) from the profits of Uefa and Fifa. The national associations play the same game internally. Soccer is the most popular game in the world, and there is so much money swilling around that proper corporate governance is virtually impossible. The critical decisions to prosecute at Fifa were initiated by US public officials and it is still not clear all the corrupt officials around the world have been charged, although several are already in jail. The Qatar World Cup is still supposed to be going ahead. The FAI's income comes mainly from the international team, the divvy-outs from Uefa and Fifa and the Irish government money currently suspended by Sports Ireland. The domestic professional game, the League of Ireland, is a money-loser - most clubs struggle and almost all of them have been in and out of bankruptcy or receivership at some point in recent decades. To cap it all, there is a separate league in Northern Ireland, so the island as has 20 league teams in the south and 24 in the north, a total of 44, compared with four professional rugby teams. The best players naturally decamp to clubs in Britain. Efforts to follow the sensible lead of the rugby people and have a smaller number of clubs competing in a league outside Ireland have been opposed by the two associations. The current situation where the Leinster rugby team attracts far bigger attendances than all the Dublin soccer teams combined, as does the Dublin Gaelic football team, in a city where soccer is the most popular of the three, reflects the daft structure of purely national leagues. This suits the large countries, but not the small ones, and will not survive forever the beady gaze of the EU competition authorities. The FAI has shown zero leadership in addressing any of these issues and has signally failed to mobilise support around the country for the improvement of clubhouses and facilities, on which the GAA has done such a terrific job. The latest FAI scandal should be the last - time, surely, for a clean-out.